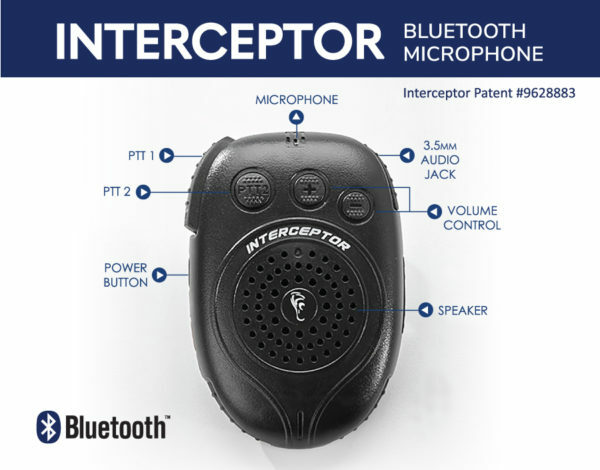 The patent-pending Interceptor is the first of its kind on the market, offering the user both Wireless capability and Dual Pairing with 2 Push-to-talk buttons. 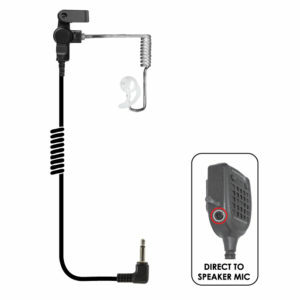 The microphone is uni-directional allowing the user to move freely without sacrificing audio clarity and quality. 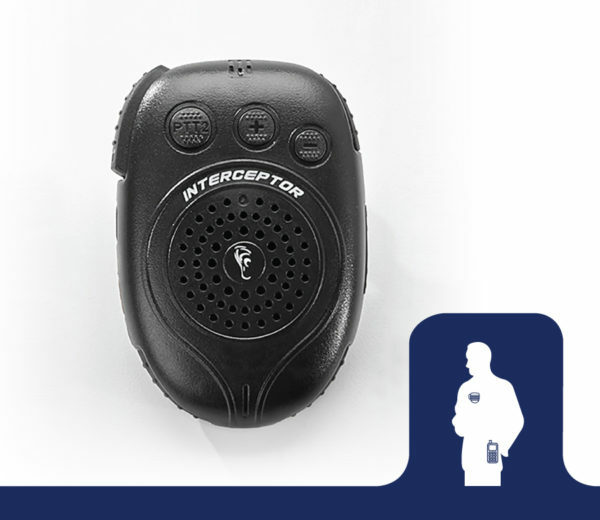 The Interceptor Bluetooth Microphone delivers strength and performance with 20+ hour talk time, 128- Key Bluetooth Encryption, and comes equipped with a 3.5mm audio jack for field versatility. New firmware supports radios with built-in Bluetooth (no Bluetooth adapter required). Simultaneous Listen Feature: Listen to dual audio from two paired Bluetooth Devices at the same time. 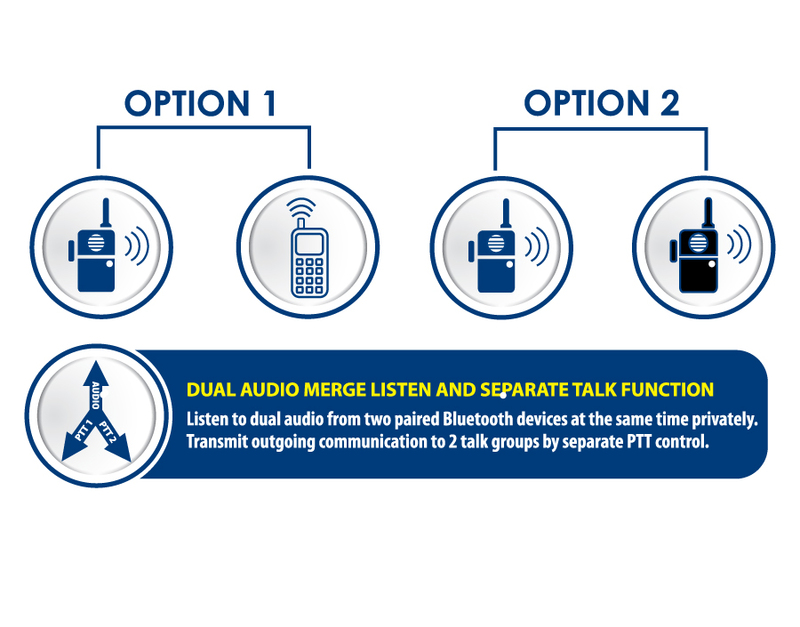 Transmit outgoing communication to two talk groups by separate PTT control. With the Interceptor, you can receive two incoming PTT transmissions simultaneously whether it be from a radio or a smartphone. Only the user can hear the conversation from both far ends. The incoming audio from the two sources are completely blocked and cannot listen to each other, preventing information leakage. Dual Link: The Earphone Connection’s Interceptor can be paired to two Bluetooth Devices simultaneously. One Bluetooth enabled smartphone and one two-way radio with Bluetooth adapter/dongle. 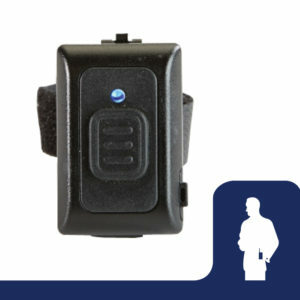 Two (2) two-way radios with BT adapters or built-in Bluetooth. 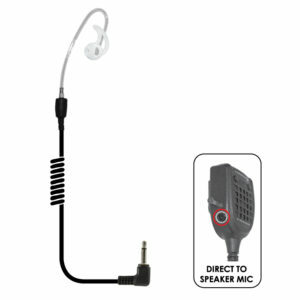 Uni-directional microphone for exceptional sound clarity, 128-Bit Encryption, 20+ Hour Talk Time. 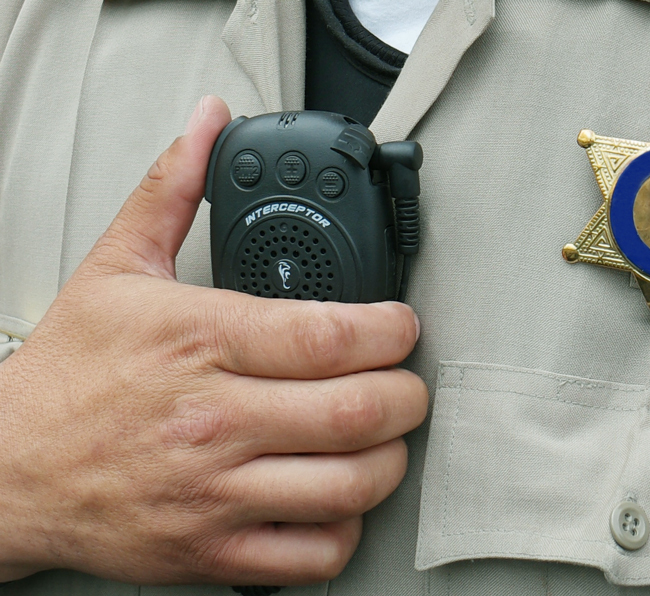 Newly upgraded firmware allows the Interceptor to pair to radios with built-in Bluetooth without the need of an external Bluetooth adapter dongle. POC (Push-to-Talk Over Cellular) Compatible. 3.5mm audio jack for field versatility. 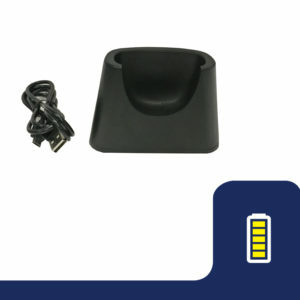 Is it time for you to go wireless? With features like Dual PTT, Simultaneous Listening & Dual Pairing, the Interceptor Bluetooth Speaker Microphones offers many advantages. Watch this video to learn all of the features and benefits of the Interceptor Bluetooth Microphone.